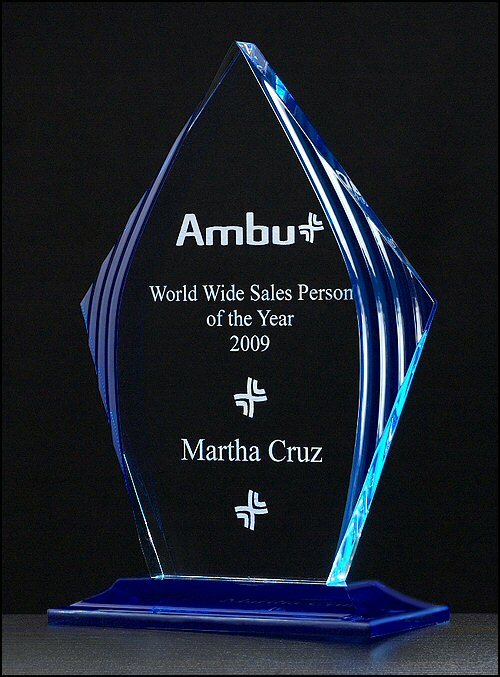 Flame Series with blue accented upright and base acrylic award. 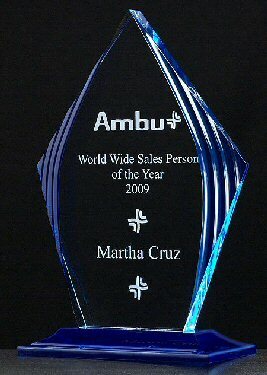 Free detailed reverse laser engraving on this 3/4 inch thick acrylic adds dimension to this special award. Before shipping, a proof will be emailed for your approval.